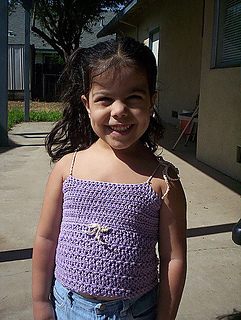 Such a cute breezy tank top for your little girl! 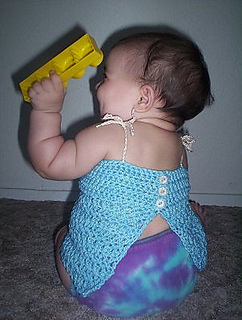 This crocheted tank features buttons at the top of the back and is open below that to keep her back nice and cool. 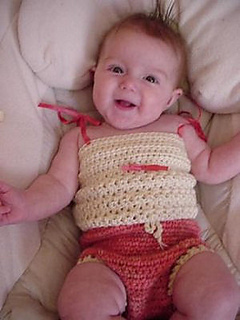 You choose whether to use a crocheted chain or ribbon to form straps that tie at the shoulders to make this very adjustable and there is also a sweet bow on the front center.